In 2015, the world was plunged into the greatest refugee crisis since World War II. Over 65 million people had been displaced. Since then, some of the most vulnerable refugees have remained the unaccompanied children, child refugees forced to flee from danger, alone. 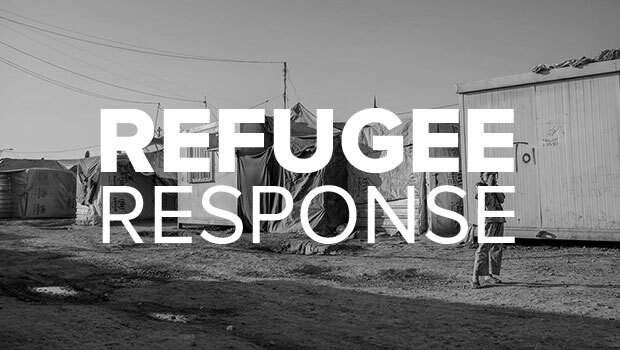 The Refugee Council is one of the leading charities in the UK working directly with refugees, and supporting them emotionally and practically to rebuild their lives and play a full part in society. The Refugee Council’s work with unaccompanied children is unique. They provide the UK service to which all unaccompanied refugee children are referred. The Refugee Council aims to provide a one stop shop for these children to ensure their complex needs are met. In 2015/16 they helped protect 3,658 unaccompanied children, a staggering increase of 66% from 2014/15. The highest proportions of children were from Afghanistan, Eritrea, Albania, Iran, Iraq, Vietnam and Syria. The Refugee Council Children’s Section is the only national service of its kind offering advice and support to unaccompanied asylum-seeking children and work with around 200 separated children every month. It is made up of a panel of multi-lingual advisors who offer asylum and welfare support to separated children, young people seeking asylum who are under the age of 18 as well as trafficked children and children who are age disputed and held in detention. Advisors also help with other issues such as foster placements, getting young people into education, trying to help them locate their family, health issues or simply being someone with whom they can talk when there is no one else they can turn to. In 2015, The Children’s Section set up My View, a therapeutic service which offers much needed therapy and psycho-educational groups to unaccompanied children. £25 can cover the cost of nourishing hot meals for children who may not have eaten well for days. £75 can help towards therapy session for a traumatised child. £150 can provide essentials such as clothing, shoes and health and hygiene items for newly arrived refugee children. £750 can support one child who is completely alone for a whole year with a range of different services, whether it is help with their asylum claim, to therapeutic support, to ensuring these vulnerable children aren’t unlawfully detained and sent back to danger. £50 provides a winter coat for young refugee. £150 provides a full Welcome Pack for an unaccompanied minor coming to the UK, including shoes, clothing, toiletries, backpack and underwear. Together we are praying for those youngsters who have endured traumatic and exhausting journeys without their parents or family. We celebrate the courage, resilience and capacity of unaccompanied minors and pray that communities will welcome and embrace those arriving. We pray for support and the confidence to navigate the settlement process and a new city, for basic needs to be met, relationships to be forged, and opportunities to be realised. We pray for compassionate government policy that upholds every person’s human rights. 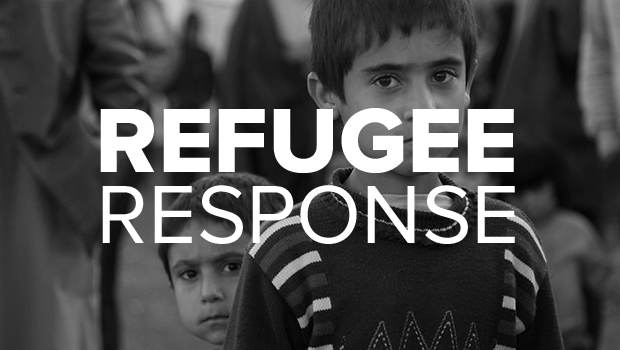 We pray for increased humanitarian refugee intake, including those from the Middle East region. We pray for effectiveness in both the processing of refugee claims and in settlement and service provision. We pray that the contribution of refugees will be recognised and that diversity will be celebrated. We pray for a sense of home for those arriving in our nation. If you are part of a local church we encourage you to be mindful of your local church vision and be sure to graciously submit and share your heart with those in leadership in your life. We believe we should see this as an ‘above and beyond’ endeavour that has the capacity to reach out and build bridges into our unchurched communities and ultimately be a blessing. Open Doors mission is to strengthen and prepare Christians living in persecution. PLC are supplying thousands of mattresses and bedding supplies to mothers, fathers, and children who were driven from their homes – many of whom are sleeping out in the open. PLC provide food, water, shelter, and medical care for families on the front lines of conflict.